Published on May 23, 2017 in General T&T. 9 Comments Tags: Pensioners, Politics, Raffique Shah, T&T Govt. My friend Pablo (not his real name) is on the brink of bankruptcy. In fact, he has been teetering on the edge for six, seven years or so, managing somehow to stave off the banks, which is in itself an achievement, given the heartlessness of the decision-makers at financial institutions. But for a man who has worked hard to afford the little luxuries that many middle-income earners enjoy only in their latter years, he is facing uncertainties over whether he will survive to see his 70th birthday. 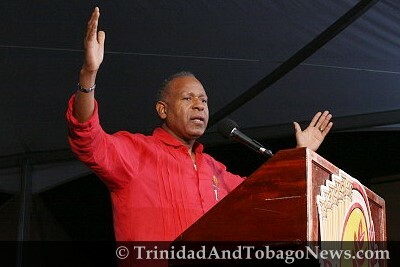 Published on June 3, 2012 in Finance, General T&T, People's Partnership and Politics. 5 Comments Tags: Abuse, Kamla Persad-Bissessar, Pensioners, Politics, Raffique Shah, T&T Govt. I MAKE no pretences to “being young” or “feeling young” at age 66. I never dyed my hair—my moustache turned grey before I was 50—and other than leading a reasonably healthy lifestyle, daily exercising included, I have taken the aging process in stride. I no longer walk as briskly as I did a few years ago, and one or two challenges that go with the age-turf have set in, none life threatening, thankfully. Also, I am still able to work, albeit at a reduced level (my choice), hence take care of my family.